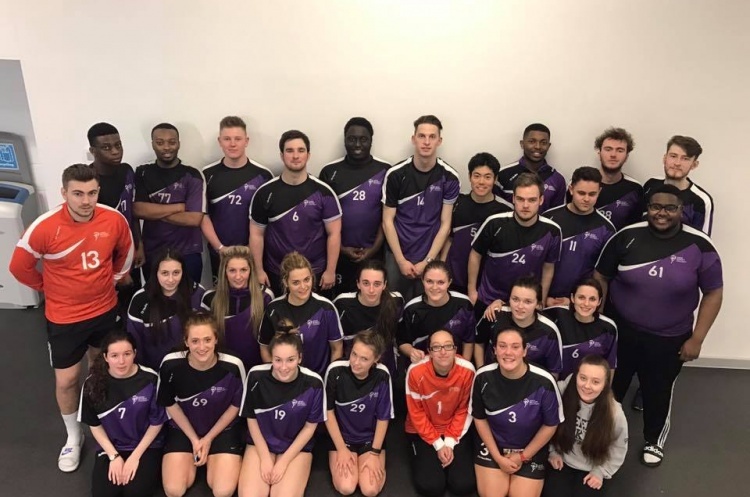 The University Plate Competition is contested this Saturday at Medway Park, Gillingham, with seventeen men’s teams and ten women’s teams in action. Last year’s winners on both sides are here to defend their titles, in what should be a thrilling day of matches. The first game starts at 10am, with the finals at 17.40 and 18.05 respectively. Presentations will follow after the finals. Last year’s men’s champions, Leeds Beckett, will kick off proceedings with a 10am match against Birmingham 3. Defending women’s champions, Imperial, will open their campaign against Nottingham Trent at 11.15. After the group stages, the men’s group winners and women’s group winners and runners up go forward to the semi-finals, before the winners are crowned in the early evening. Loughborough traditionally perform strongly in handball, and have a men’s team and a women’s team here at the Plate Finals, having won the Women’s National Cup last weekend. Birmingham have a strong showing in both the men’s and women’s competition, with two teams in each. Will the Midlanders become a force in to be reckoned with in university handball?